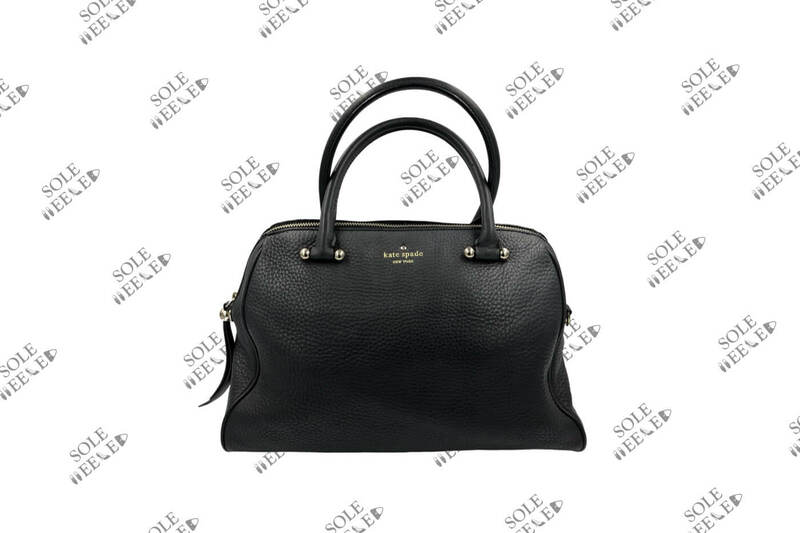 SoleHeeled offers convenient and affordable Kate Spade handbag repairs by Australia’s best craftsmen, with free shipping to your door. This case study outlines how we recently repaired a customer’s Kate Spade handbag. The zipper on this Kate Spade tote had torn right off the material attaching it to the bag. When this customer reached out to us for a free diagnosis/quote, we offered to replace the zipper with an entirely new one. We removed the existing zipper before preparing a new zipper of a length and type matching that of the original zipper and hand stitching that zipper to the bag. The replacement zipper we used is a high-quality brass zipper manufactured by Japan’s YKK, which supplies zippers to luxury fashion houses around the world. Where possible, we prefer to repair rather than replace zippers. While manufacturers are able to achieve a perfect finish by stitching zippers to bags on flat surfaces before the bags are fully constructed, our craftsmen will stitch the zipper by hand or a hand-powered stitching machine — and do so carefully so as to achieve a finish as close to perfect as possible. This makes zipper replacements relatively expensive, albeit generally nowhere near as expensive as a new bag. However, where zipper teeth are missing or otherwise detached from the surrounding material attaching the zipper to the bag, a zipper replacement is necessary. Have a Kate Spade handbag needing a zipper repair or replacement?